Los Angeles is filled with many scenic places, some gorgeous architecture and, last but not least, incredibly decorated, colorful walls, all of which provide for some great opportunities to take photos for my blog. Sometimes I plan ahead and actively seek these locations out for a photo shoot, but sometimes, if I'm lucky, I just happen upon them. I was delighted this week when my husband and I ventured a little bit off the beaten path headed nowhere in particular and discovered a nice new restaurant that, lo and behold, had one of its exterior walls in the rear painted with a gorgeous, colorful mural. Plus, it matched my outfit, so it was a win-win situation all around! What could be better than colorful walls and good food? This just goes to show that the road to nowhere might actually lead somewhere! I need a pair of yellow shoes! Those are gorgeous! Good choice for the background, indeed. 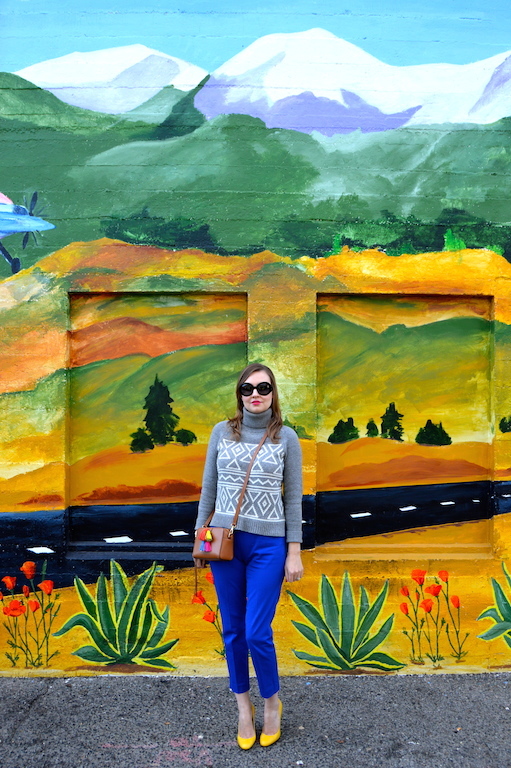 That mural really does match your outfit. Love the purse tassels, too! This is such a fun, colorful post. 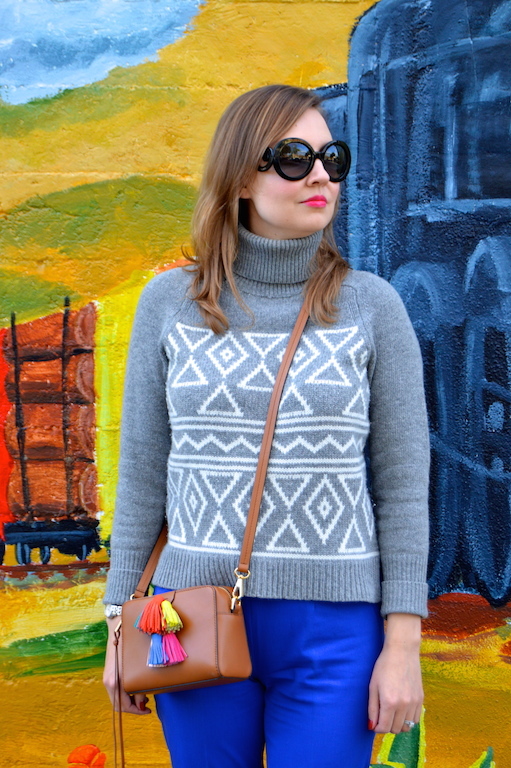 Love your choice of background as a prop and those tasseled purse is so fab. 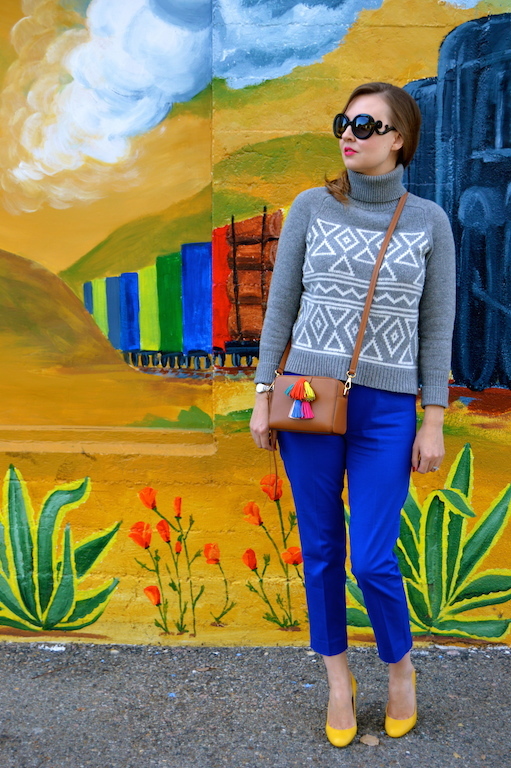 I'd love for you to stop by my new weekly Weekend Wear Friday linkup and share your style. Ha! how brilliant that the outfit you wore worked perfectly with the wall. What a colorful wall! 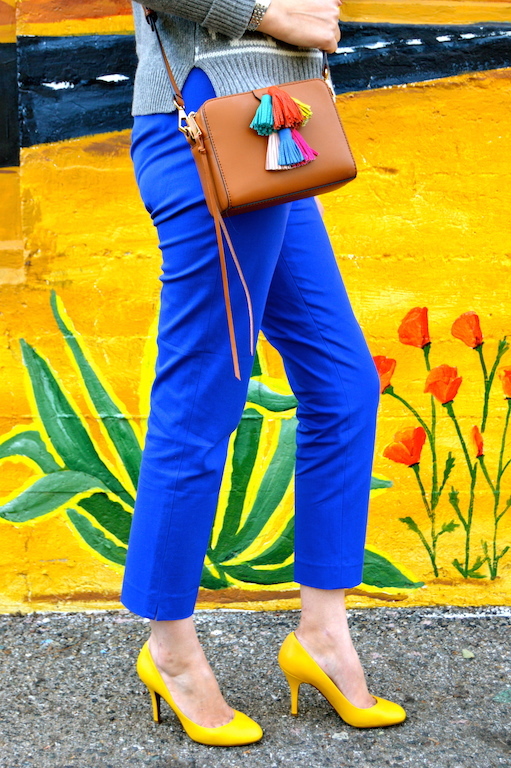 The tassels are a fun detail on your bag and I love this gorgeous look! Gorgeous outfit and I love how the wall compliments your outfit so well! This outfit is STUNNING. 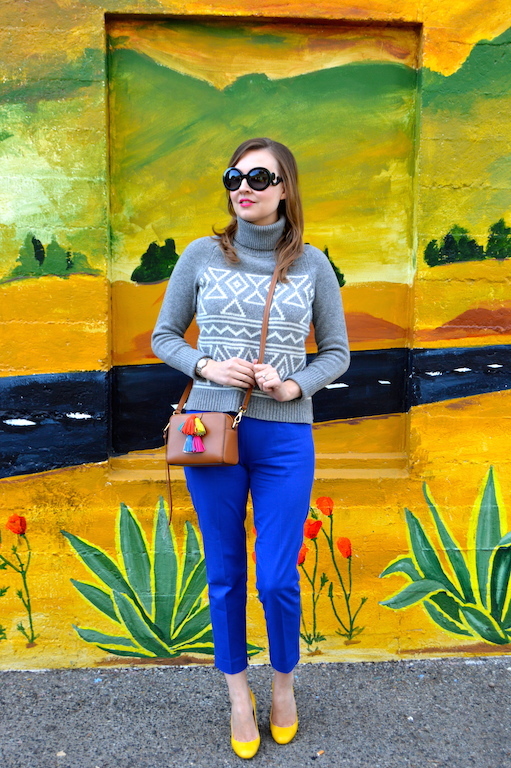 I love the pattern on the sweat and the bright blue pants and yellow heels! Your bag is unreal too. Color-rific! The yellow pumps.... LOVE!